Police Chief Jerry Dyer sank a city council proposal Thursday that supporters said was focused on public safety, but opponents criticized as a mean-spirited attack on the poor. After three and a half hours of public comments, council debate, catcalls, and requests for potty breaks, the Safe Transfer of Objects to Pedestrians (or STOP) ordinance failed to advance. The measure would have made transferring any object from a car to a pedestrian (within 200 yards of an intersection) an infraction and subject to a citation. Asked point blank if he would support such a measure if he were a councilman himself, Dyer said no. Related Story: Can City Ordinance “STOP” Panhandling? After that exchange, Councilman Luis Chavez (District 5), one of the proposal’s three co-sponsors, backed away from the measure. Garry Bredefeld (District 6), the only council member who had not shared his view on the issue publicly before the debate, voted no. With that, the ordinance failed 3-2, with Chavez abstaining. Councilman Nelson Esparza (District 7) was not present. One of Dyer’s top concerns was how the public would perceive the role of police if the ordinance passed. “The thing that concerns me most … is that it’s going to put an unrealistic expectation in the eyes of the citizen that this is going to be a priority,” Dyer said. The chief also worried that ticketing citizens who believe they are doing a good deed would result in a loss of public trust for police. His words were enough to flip Chavez. “I had not had an in-depth conversation with him, but because of the testimony, because of what the chief said specifically, I’m going to withdraw my support,” Chavez announced to cheers and applause from the chamber. Bredefeld said he wouldn’t support the motion since Chavez backed out and Councilmember Paul Caprioligio (District 4), another co-sponsor, said he wanted to review the proposal further and bring it back at a later date. Carrying signs and wearing pins emblazoned with the municipal code number STOP would create, the opposition came out en masse. Of the more than 50 speakers who made public comments during the discussion, nearly all of them blasted the ordinance. For the most part, the audience remained civil when a speaker or council member held the floor. 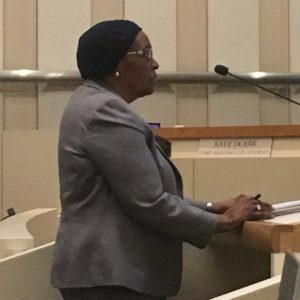 When venerable activist Mary Curry told the council she would purposely break the ordinance if enacted, she received a standing ovation — not just from the crowd behind her, but also from Soria and Councilman Miguel Arias (District 3) on the dais. Martha Kolstad knew that would be a hard act to follow. The conservative activist said as much as she took the speaker’s podium. She was the first, and one of the few, who supported STOP. The audience booed and hissed, to the point Kolstad turned around asking for the same respect the audience bestowed upon the previous speakers. 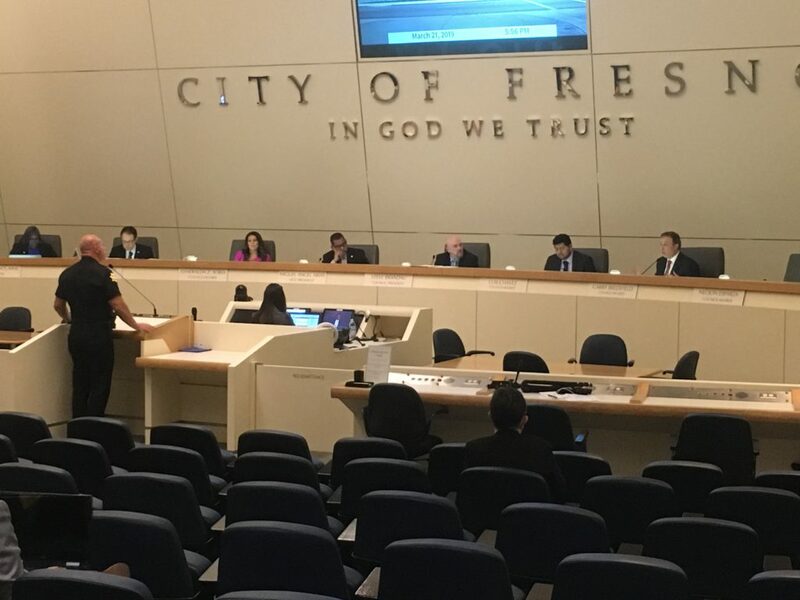 Later in the debate, audience members interrupted Bredefeld, eliciting an immediate rebuke from the northeast Fresno representative. 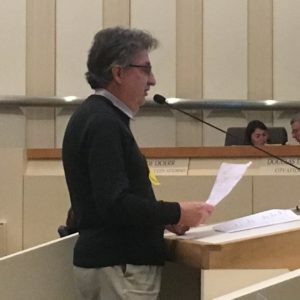 Steve Brandau (District 2), a Republican who is leaving the council soon to take his seat as a Fresno County supervisor, authored the ordinance with Caprioglio and Chavez, both Democrats. The seemingly partisan crossover was not lost on Fresno County Democratic Party chairman Michael Evans. “Frankly, I’m appalled that two of our Democratic members of this committee have signed on as co-sponsors of the bill. It is an embarrassment to Democratic values, it’s an embarrassment to the community. And, it’s an embarrassment to your colleagues,” Evans chided. As the debate stretched to the 6 p.m. hour, Caprioglio asked for a 10-minute potty break. Council chose to continue on, though Caprioglio briefly left the dais. A few minutes later, the council took a 10-minute break anyway. Soria and Arias also questioned whether such an ordinance would be constitutional. City attorney Douglas Sloan said it was a 50-50 proposition the city would survive a legal challenge. After Chavez announced his withdrawal, he asked that the motion be officially be pulled. His fellow co-sponsors offered simultaneous opposite responses. Brandau said no, keep going. Caprioglio said yes. Council took a vote nonetheless. Brandau and Caprioglio voted yes; Soria, Arias and Bredefeld voted no. Chavez abstained, and Esparza, who left early in the debate, did not cast a vote. 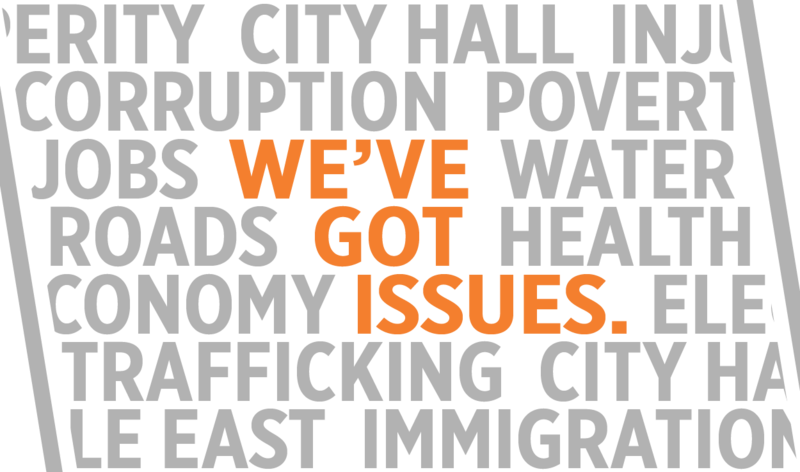 “I supported the homeless work portion of the ordinance, but (reconsidered) after hearing the community and the chief had reservations about the enforcement/punishment component. However, the work continues. I’m the chair of the homeless services sub committee and will be engaging the community for feedback and input on how to best address the homeless crisis we have in our city,” he said via text message. Esparza said he had a preexisting out-of-town trip that took him away from the council in the afternoon. Prior to departing, he said he was impressed that opponents had mobilized so quickly, given the STOP proposal was placed on the agenda just 72 hours (the minimum time period required) in advance of the Thursday’s meeting. Fresno wastes time and money on trivia, that is why they are fast becoming a future Stockton! Its your business what you want to do with your money or giving food. However, people shouldn’t encourage this panhandling cesspool of the SAME people at Nees / Blackstone and Shaw / Blackstone for over 6 years. Pull into a driveway, and parking lot do NOT encourage people to walk through traffic to your door and block traffic, get in wrecks or get killed. Better yet give them a ride to the Poverello House if they are truly homeless. Great job! End the war on the poor!